This is not a showroom, it's better. When music sounds great, it is more than just background noise or sounds to occupy our minds while we do something else. It connects us to deep emotional and spiritual places in ways nothing else can (at least without side-effects). It captivates our attention, makes us slow down, and we become engaged in the sacred activity of deep listening. When an audio system reaches this level of performance, one looks forward to experiencing it's effects on our mind, body and soul. Listening to music becomes a form of Yoga or meditation that we regularly incorporate into our lives, and share with close friends. For music lovers of all kinds, this is the destination. To create this experience for ourselves in the comfort of our homes, on our own time, whenever we so desire. 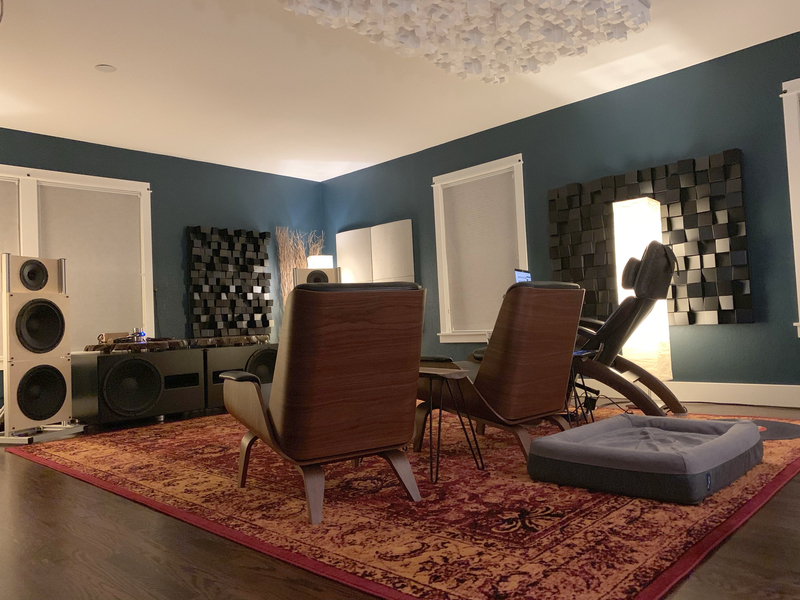 Our goal at the Westminster Studio is to assist you in choosing the system, component or accessories that help get you closer to your goal, in an environment that is optimized and most conducive to helping you make a great decision. That's it. No pressure, no distractions. Just a little guidance, and a lot of listening. Please contact us 30 days in advance of your visit to Colorado. We want your time here to be as productive as possible by having everything you want to audition available when you visit. Sometimes this means we need to "borrow" components from manufacturers, or retrieve components that might be on loan in order to set up for your time in The Studio. If that is not possible, please understand that we may not be able to set up everything you would like to listen to. If you wish to bring a component or components in to The Studio, that is encouraged. Just be aware that there is a flight of stairs to climb and heavy or large equipment may be difficult to carry up. We look forward to meeting you in person, and getting to know what gives you goosebumps, musically speaking. Call us at 303-653-6341 to begin the process.